Leaves or no leaves? This is the big question that many homeowners struggle with each year when it comes to taking care of their lawn during the peak fall season. However, the answer to this question may surprise you. 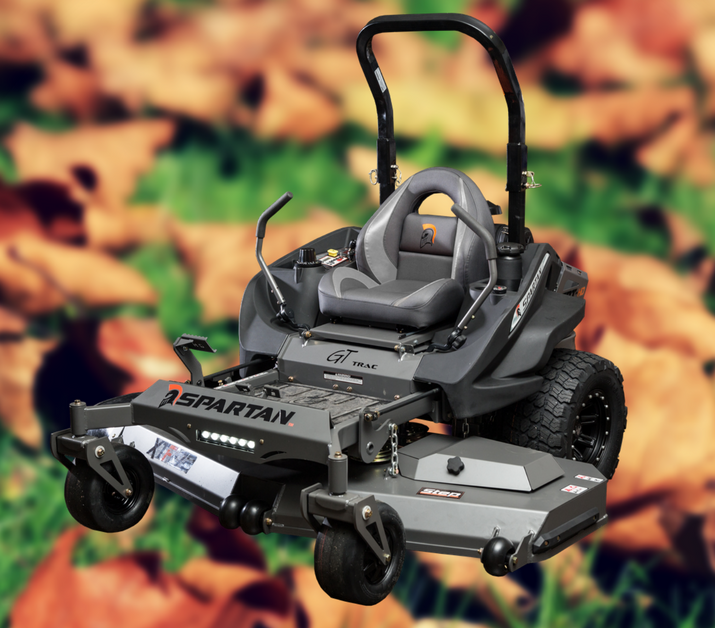 Check out how this one fall lawn care tip and a Spartan Mower can help your lawn in the long run. Your lawn says a lot about you to the outside world. For this reason, many people choose to spend their weekends making sure that every single leaf is picked up. They refuse to be that person on the block who has leaves piled up on their lawn. However, it doesn’t have to be that way. Cut your lawn care time in half this fall by putting down the rake and using your mower to make your lawn look just as great. While you are not necessarily removing the leaves from your lawn, mowing will help your lawn look clean and well-maintained. Before mowing your leaves, you should make sure that they are dry. If it has rained recently, then give the leaves some time to dry out before using your mower to go over them. Wet leaves are much like wet grass and can be more difficult to mulch into smaller pieces. They can also create clogs and more messes around the yard for you to clean up. 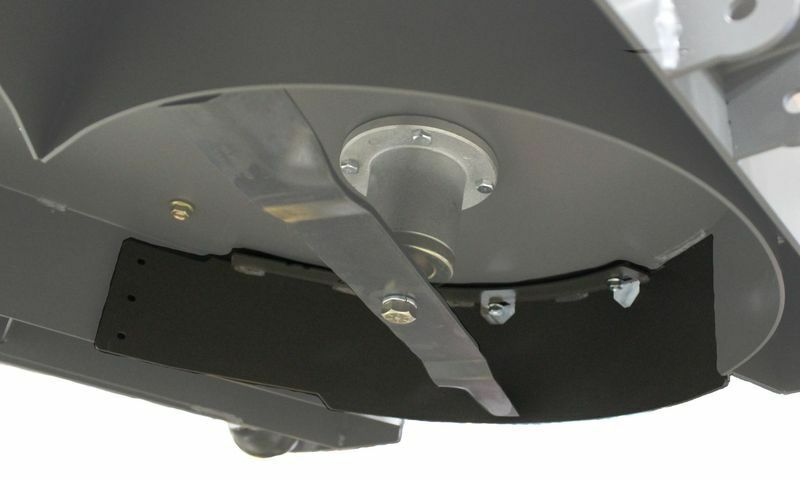 Spartan Mowers offers a full range of mower accessories from small upgrades to handy attachments, so you can get the most out of your mower. Here are some accessories that can help you mow this fall. The only downside to not raking your leaves is that you can’t run and jump into the big piles. However, we know that becoming an owner of a Spartan Mower can make up for that. Mother Nature won’t wait so neither should you. 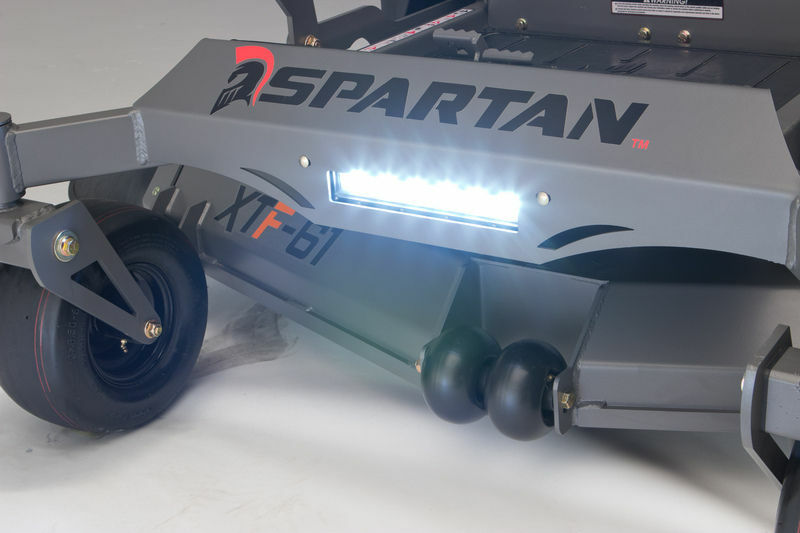 Visit a Spartan Dealer today to see what all the fuss is about with our zero-turn Spartan Mowers. To find a dealer near you, click here and enter your zip code. Don’t forget to visit our website where you can check out each mower’s specs, watch videos, and even BUILD YOUR OWN MOWER.